Though the photos this week are all of the kitchen, there has been lots of other work going on. The grey paint is steadily covering the main part of the house, so watch out in a couple of weeks for the first photo of the outside without scaffolding. Inside the joinery work has continued on door architraves and started on the window seat in the corner of the living room. Also the cladding of the pod where it juts inside the house has started – will post a photo next week when it is completed. And so to the kitchen – the one bit where we get hands on. 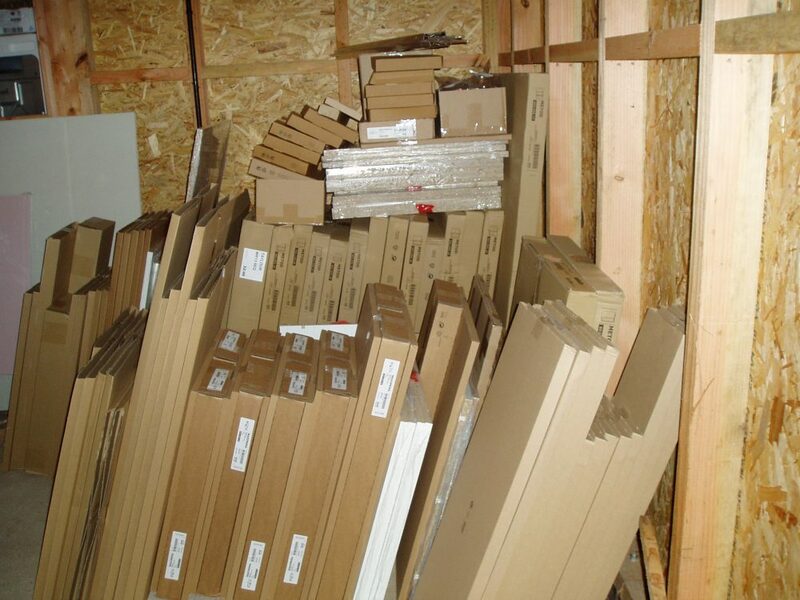 The kitchen arrived in flat pack from last week – all 200 boxes of it. Kathryn and Rob gamely volunteered to come down to help up put the carcasses together. So by the end of the day 23 of the boxes had been converted into the units. Amazingly with no missing parts or major hiccups in the build. 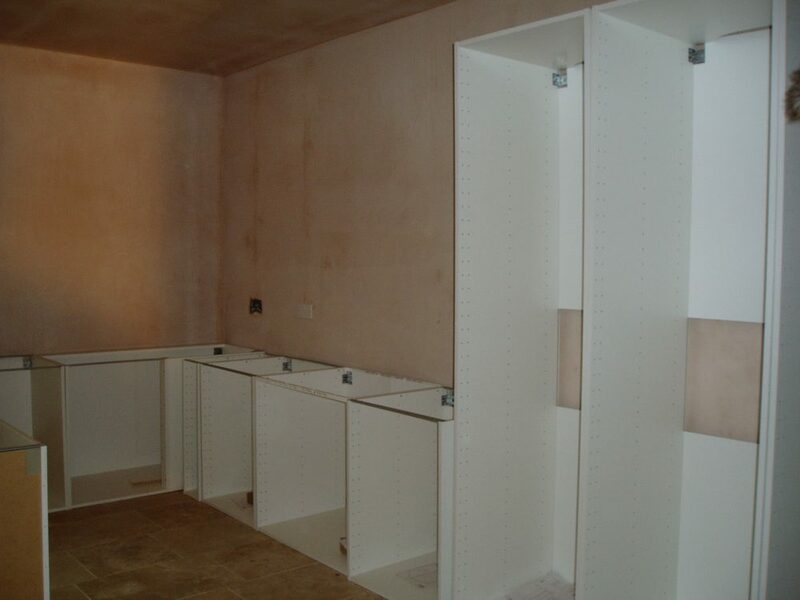 It is now over to the builders to secure them to the walls and put in the electrical items. And at some point I suppose we should think about what worktop to put on top.